Date: Oct. 28, 2017, 8:30 am – 4 pm. Location: Randolph County Fairgrounds, 1885 U.S. Route 27, Winchester. Purdue Extension experts will be available to discuss and answer questions. Cost is $10 and lunch will be provided. 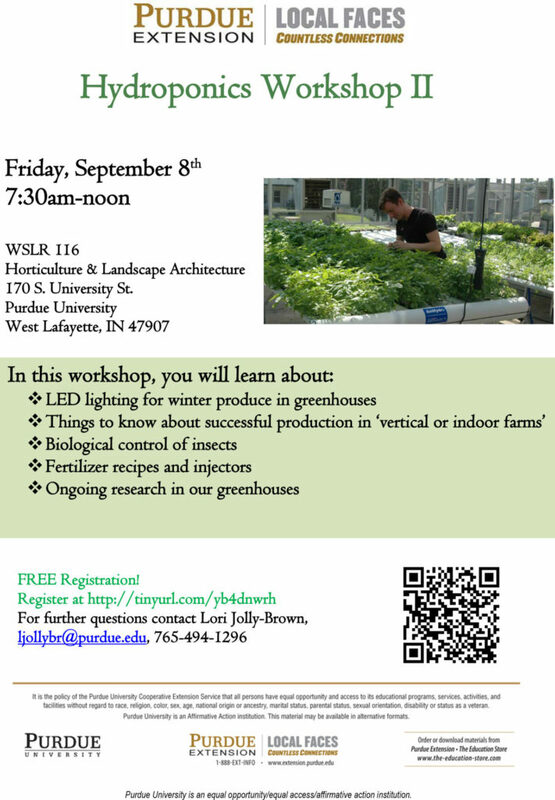 To register or find more information about the next four regional workshops, go to www.conf.purdue.edu/BegFarmerTours. The conference is intended for anyone interested in the practical use of cover crops and soil health improvement, including farmers; conservation agents; certified crop advisers (CCAs) and agribusiness staff; and university, nongovernmental organization (NGO), and agency representatives.